FIFPro – the World Footballers’ Association – established a new FIFPro Women’s Football Committee to provide female professionals with a platform to address their growing needs on a global level. The initiative was set in motion in May 2014 and the Women’s Football Committee was officially established in December 2014, when the FIFPro Board fully committed the World Players Union to realise that all female professional footballers are represented equal to male professional footballers. 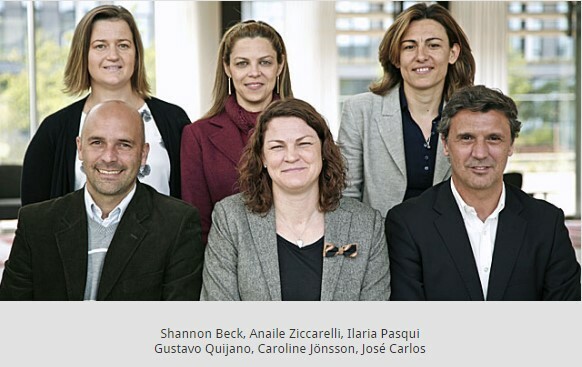 The six-person Women’s Football Committee is made up by Caroline Jönsson (Sweden, chair), Ilaria Pasqui (Italy), Carla Couto (Portugal), Anaile Ziccarelli (Brazil), Gustavo Quijano (Colombia) and Shannon Beck (Australia). All hail from member associations of FIFPro and bring a wealth of experience in the representation of players’ rights in their respective countries. The FIFPro Women’s Football Committee is focused on creating a strategic plan which will be designed to handle the modern requirements of female professionals. Legal matters, gender equality, communications and specific issues relating to the health and safety of the players are among the topics on the Committee’s agenda. The ultimate goal of FIFPro Women’s Football Committee is, that all female professional footballers possess the same rights as their male colleagues in the game, and that those rights are respected by all stakeholders in professional football worldwide. 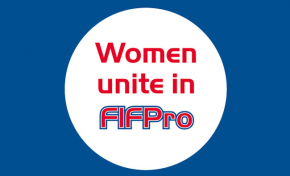 One of the most important steps that FIFPro are taking in the fight for the rights for female professional football players, is the establishment of a framework which enables women to become a direct member of FIFPro – the worldwide players’ association -, in a bid to amplify their collective voice and ultimately protect their rights in the workplace at both club and international level. Normally, all players should apply for membership of a national player association, for example in their country of origin or in the country where they are plying their trade. At this moment not all FIFPro member associations are equipped to add female players to their membership. Therefore, FIFPro has decided to create the aforementioned special opportunity, which must guarantee that the collective voice of the female players will be heard. With this new initiative, FIFPro responded to the growing and diverse needs of female professionals worldwide who often feel isolated and have nowhere to turn for support and football industry specific advice. While many FIFPro-affiliated countries offer services for female professionals on a domestic level, FIFPro sees the need to create a global standard. This gives players the opportunity to access expertise from FIFPro headquarters and help them develop sophisticated strategies, legal or otherwise, when organising themselves on any given issue. Former Swedish international Caroline Jönsson is the chair of the committee. She will play an important role to help spread the word about FIFPro, the international federation of trade unions made up of 58 member countries. A FIFPro forum is unique in that it helps to unite the world’s elite professional players to debate and develop solutions of international relevance. For example, such a platform would assist greatly when addressing matters like the decision to stage the 2015 Women World Cup on artificial turf.